There are a few staples that everyone expects on the Thanksgiving dining room table when it's time for dinner: turkey, mashed potatoes and casserole. However, just because your family and friends expect a few traditional dishes doesn't mean that that's all you can serve. This Thanksgiving, consider a more adventurous side dish for your meal. Here are five options that may seem unusual at first but are guaranteed to be delicious. Rather than just serving the same old butternut squash in a dish, why not rethink your side dish as well as the way it's served? Consider a stuffed squash instead. Stuffed squash allows you to use the actual gourd as a festive and aesthetically attractive bowl that's both seasonal and delicious. All you need to do is pick the type of squash you prefer - acorn is on of the best options - and scoop out the seeds and pulp. In this cavity, you can add a mixture of sausage, chopped veggies, cheese and cooked grain such as quinoa or millet. It's an unusual dish that's sure to please anyone who loves stuffing or squash. Mix one of the lowest calorie foods with one of the tastiest. In the style of bacon-wrapped scallops or chicken, try bacon-wrapped asparagus. It's a unique pairing, but it's simple to make and your friends and family will be wanting seconds. 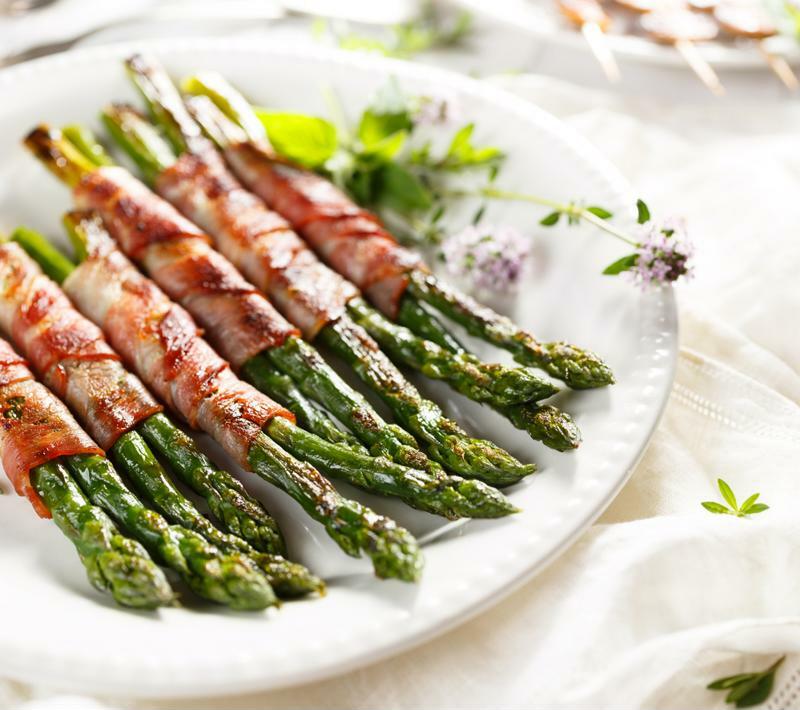 All you need to do to prepare bacon-wrapped asparagus is wrap uncooked bacon around either individual stalks of asparagus or bunches and place them into the oven together on a baking sheet. Cook until the bacon is crispy and serve. It's an excellent side dish or appetizer. Creamy and savory, the broccoli and rice side dish is a great vegetarian option that's still hearty and delicious. You can make this tasty side dish in your roaster oven, which is perfect for a busy Thanksgiving day when you have several other dishes cooking all over the kitchen. All you need for this dish is rice, broccoli, cheese, cream of mushroom soup, water and the vegetables of your choice. It's a great option to customize yourself. 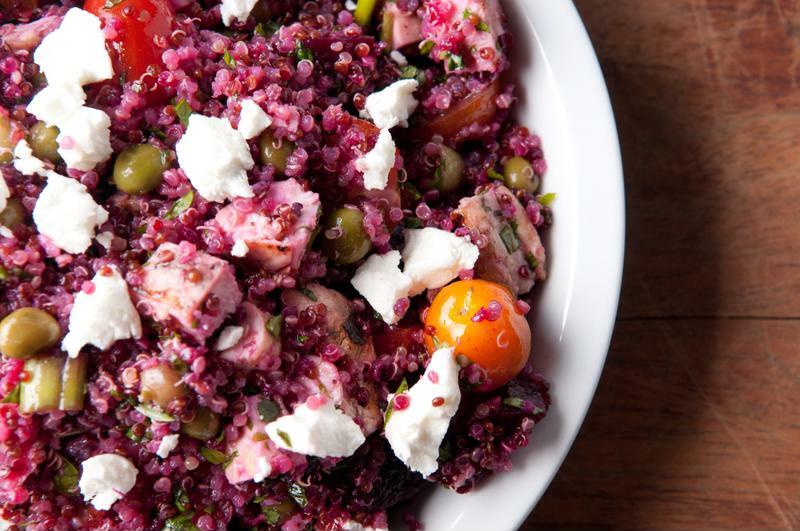 Consider getting creative with a custom quinoa salad. Not every side dish has to be covered in cheese or bacon. Instead, try making food that matches fall flavors with smart ingredients. Try a quinoa salad that can be served hot or cold. Mix quinoa with dried cranberries, kale, oranges and almonds along with a dressing of balsamic vinegar and maple syrup. Give your skeptical family members a chance to try it. They'll love it! Free up more room in your oven by using your electric skillet to cook up a roast vegetable dish. You can make this side dish in no time. All you have to do is roaster the vegetables of your choice on your skillet with herbs and olive oil. It's simple and different, but it's sure to be a hit.